November 3rd is National Sandwich Day, but to me, every day is sandwich day. What makes the ideal sandwich? It’s not easy to achieve. I want the perfect bread: easy to hold, full of flavor, but not overwhelming flavor. I want a hearty serving of meat or veggies: whatever the dominant flavor is supposed to be. Nice cheese, oh the best sandwiches almost always have nice cheese. And something pickled or spicy to balance the meaty flavor. If it were easy, everyone would have a killer sandwich. 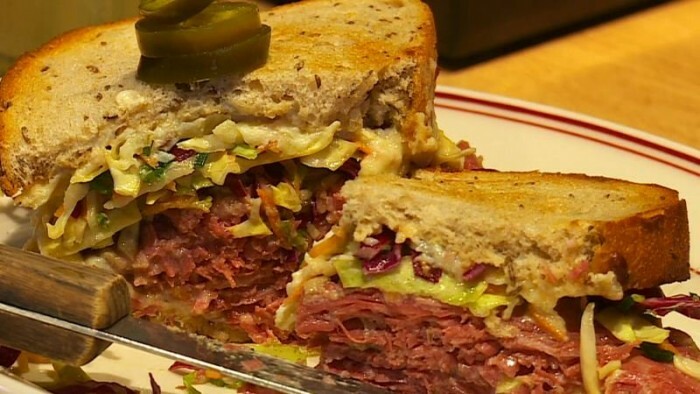 Here is my list of the Top 14 Sandwiches in the Twin Cities. Ranked in Order of greatness! What did I miss? Add your answers in the comments.